Bistros are a staple. Every club in Sydney should have one. Nice, cheap and fast meals in a pleasant environment. Which is the best one you know of in Sydney? I know some 'fair' ones, but I haven't been to a good one in a while. So many good choices. 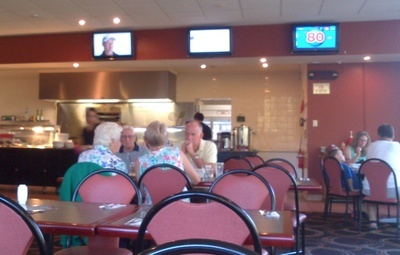 I love that Chinese Restaurant (off hand, Mr Wong's) at Canterbury-Hurlstone Park RSL Club. The Pinnacle RSL in South Hurstville has a great bistro, with tasty food at reasonable prices. The lamb shanks are a standout, with roast veggies and a complementary sauce.